This article can only hope to provide a partial and incomplete introduction to the complex situation on the ground at the Fukushima Daiichi plant and some context for the relative risks of the crisis there. In part this is a response to the epidemic of erroneous, misleading, and downright false information that has been widely circulating in the recent weeks. In part it is a call for meaningful international collaboration to address some of the very serious and real risks that are part of this situation. On 11 March 2011, (hereafter referred to as 3.11), a 9.0 magnitude earthquake and the following tsunami set into motion a series of events in which Units 1-4 of the Fukushima Daiichi nuclear power plant were devastated. The power lines to the plant were destroyed and shortly afterwards the backup generators were overrun by water. This led to a series of reactor core meltdowns and a possible melt-through event, as well as a series of hydrogen explosions that damaged the reactor buildings. Unit-3 and Unit-4 were especially badly damaged. Initially there was an airborne release of radioactivity. The release of cesium-137 into the atmosphere during the period from 12 March to 31 March 2011 is estimated at around 10 PBq (petabecquerels) and the total atmospheric fallout from Fukushima has been estimated at between 10-16 Pbq. By contrast, the IAEA estimate the Chernobyl disaster at 85 Pbq in total atmospheric fallout. Radionuclide contamination from Fukushima also included cesium-134, strontium-90, and iodine-131. In addition to the atmospheric fallout, estimates of the direct ocean discharge of radioactivity at Fukushima vary between 3.5 – 15 Pbq. The airborne release of radioactive material was also much smaller than the amount of radioactive material that is believed to have breached containment and is now contained in the basements of the damaged reactor buildings. The airborne release was quickly and widely dispersed by wind currents that largely took it out into the Pacific, but also over parts of Japan and North China. Radioactive fallout was most concentrated in a 200 km radius of the Fukushima Daiichi plant, both on land in Japan and in the Pacific Ocean. It is estimated that between 80-85% of that radioactive contamination fell into the Ocean. The initial threat of radioactive iodine-131. In the days after 3.11, and until the beginning of May in 2011, elevated levels of radioactive I-131 were detected in milk on the West Coast. The contamination levels didn’t reach above 1.1 bq/l, which is relatively low compared with contamination from the nuclear testing era, but no warnings were issued by any government agency, or mainstream media. There is a known link between I-131 in milk and thyroid cancer. US government officials estimated I-131 exposures from milk contaminated by Nevada above ground nuclear weapons tests in the period 1951 to 1958 as the basis for the projection that as many as 212,000 Americans developed thyroid cancer from Nevada test fallout. The I-131 was an airborne contaminant and has a very short half-life of just 8 days, so the threat from Fukushima-based I-131 has long since subsided. There is also concern that exposure to I-131 from Fukushima may have contributed to an increase in hyperthyroidism in infants. The highest levels of I-131 were documented in the five US States on the Pacific Ocean. The number of congenital hypothyroid cases in these five states from March 17-December 31, 2011 was 16% greater than for the same period in 2010. Contamination in Fukushima and its immediate environment was of course, much greater and between 15-52 children have developed thyroid cancer (which is extremely rare in cases without I-131 contamination). The percentage of children screened by Fukushima Medical University that have been found to have possibly precancerous cysts, or nodules in their thyroid glands has increased in the last two years from 35 to 56%, with the number of children having cysts, or nodules, of ‘significant’ size increasing from 186 to 548. An unprecedented level of radionuclides released into the ocean. After 3.11, the initial concentrations of cesium-137 in the Pacific Ocean around Fukushima measured as high as 90,000 Bq/l, which is considered a ‘substantial threat to marine biota’. These fell to around 100 Bq/l by June 2011. By September of 2011 the cesium-137 levels offshore had fallen to around 9 Bq/l, a similar level to the EPA drinking water limit. Although the water-born arrival of Fukushima cesium to the West Coast is receiving a huge amount of publicity and is creating very widespread concern, it is important to realize that the contamination reaching the shores of the West Coast will be many times more dilute than it was at Fukushima. Nonetheless, the most effective thing that the public could do at this point is to call for systemic testing and study both of the deep ocean contamination and its impact on the coastline. There is confusion about debris from the tsunami being radioactive. Woods Hole Oceanographic Institute have tested several samples and none have been contaminated. There is also a lot of conjecture about various land-based animal deaths. None of these are accompanied by a credible mechanism that explains how this may have been caused by Fukushima. Airborne contamination from cesium-134 and cesium-137 as recorded by UC Berkeley Department of Nuclear Engineering was never higher that 0.74 Bq/l in rainwater, although in the same time period iodine-131 reached 19.85 Bq/l. The effects of these levels of contamination are chronic, rather than acute, and impacts would expected to emerge on a much longer timescale. Waterborne contamination has yet to arrive and increased radiation levels, in themselves, which were very minor, would not have been sufficient. A study by Nicholas Fisher, a professor of marine sciences at Stony Brook University in New York, caused a great deal of concern on the West Coast when it showed that fifteen out of fifteen blue fin tuna caught off of San Diego tested positively for cesium-134 and cesium-137 from Fukushima. The contamination levels were around 10 Bq/Kg, about one-tenth of what is considered the safety limit of 100 Bq/Kg and very substantially below the level of naturally occurring radioactive polonium-210, that was a thousand times higher. Yellow fin tuna, which does not migrate across the Pacific in the same way as blue fin tuna, was found to have no trace of cesium. Fisher has called for more extensive testing of fish, especially blue fin tuna. Ken Buesseler of Wood Hole Oceanographic Institute also advises if you are concerned about eating fish, to avoid eating ground-feeding species like flounder, greenling, and cod, because of their possible exposure to ‘hot spots’ of cesium on the sea floor. Although the radiation risk from cesium-134 and cesium-137 is trivial in fish, any exposure to cesium-137 (which is entirely an anthropogenic creation from the nuclear industry) carries risk. Cesium-137 can bioaccumulate in muscle tissue, and although it is not as immediately carcinogenic as iodine-131, it has a much longer half life of just over 30 years. It is very important to understand that radiation from the Fukushima pollution is not the major health risk. The most significant current health risk is the ingestion of cesium-137. Once inside the body, the cesium-137 will continue to emit for the remainder of its half-life, potentially causing significant tissue damage and increasing cancer risk. Dr. Junro of Kosugi Medical Clinic near Tokyo, Japan has said. “The European Commission Committee on Radiation Risk has stated that they believe the risk from internal exposure is between 200 and 600 times greater than the risk from external exposure.” This differentiation is widely ignored by ‘nuclear experts’ when assessing the real health risks from Fukushima. Although these are the dangers of the radiological pollution from Fukushima that has already been released, there are also very significant current and future hazards in the containment and decommissioning of the nuclear power plant. The damaged reactor buildings at Fukushima Daiichi and the spent fuel rod ponds above them need to be constantly cooled by having water pumped in them. This water then becomes contaminated with radioactivity and radionuclides. This water is then transferred by Tepco into tanks above and behind the reactor site. Nearly 300,000 tons of contaminated water are now held there in more than 1,000 containers on site and there are plans to increase this capacity to 800,000 tons. There have been complaints that this quickly erected ‘tank farm’ is poorly constructed. The tanks are bolted together, rather than welded and mostly have rubber seals. The longevity of the tanks is unsure and some estimates have suggested around 5 years, which is much less than half life of the cesium contaminated water. The tanks have leaked, including one day where Tepco admitted more than 300 tons of contaminated water escaped. The main concern about radiological pollution currently coming out of Fukushima Daiichi is from the groundwater that is carrying contaminated water used to cool the reactors out into the sea. Some of this appears to be contaminated water seeping through the basements of the reactors. Some of this contaminated water is also escaping from leaks in and around the containment tanks that it is being stored in. Tepco is attempting to control this by building an underground steel wall in front of the reactor buildings. They have also tried, unsuccessfully, to create a chemical barrier. There are also plans by the Japanese government to build a $300 million underground ‘ice wall’ to freeze the ground around the reactors. This will be done by a network of coils that will freeze the ground by transporting liquid nitrogen at 30 degrees kelvin. Essentially the issue is that an aquifer, much like an underground river, runs under the plant and into the ocean. Any water that escapes from the tanks, the basements, or from leaks, eventually flows downhill and into the ocean. How contaminated is the water? Nobody seems to really know the extent to which the contamination is concentrated, or even the exact quantity of water that is escaping, or indeed, exactly where the water is escaping from. What we do know is that the Tepco monitoring points around the Fukushima Daiichi harbor and above and below the plant on the coast are all registering elevated levels of cesium-134 and cesium-137. The harbor is strongly tidal and exchanges approximately 20% of its water in each tide. Monitoring inside the exclusion zone further away from shore is sporadic and no government agency at all seems to be monitoring outside of the exclusion zone, although oceanographers from Woods Hole Oceanographic Institute conducted some tests in this area on a research cruise in 2011. The engineering challenge of containing the contaminated water. The ‘fill-a-bucket-and-then-store-it’ approach currently being pursued by Tepco with regard to the contaminated water is clearly a short term and rather desperate solution to a problem that will persist for decades. The strategic interventions that would be required to intercept the vast majority of the contamination entering the open ocean are an order of magnitude bigger than Tepco will be able to orchestrate. The Japanese government’s intervention and participation in the ‘ice wall’ plan is an example of how the situation is more likely to progress. Other possible solutions require engineering challenges that may stretch even the Japanese government, for example by attempting to divert the aquifer before it reaches the plant, or by erecting some more effective barriers at the harbor mouth of the port than the ‘silt fences’ Tepco have put in place to suppress seawater traffic. Even more radically, containment could potentially be deployed around the whole of the oceanfront area where contaminated water is currently escaping. The reason that Tepco has been able to get away with the ‘bucket’ approach is that the level of radioactive contamination being recorded around the harbor and oceanfront area is considered reasonably acceptable by the standards of the nuclear industry. At the time of writing the contamination is around 2.2 Bq/l for cesium-137. Although the (very approximate) 300 tons of radioactive water a day leaking into the Pacific Ocean sounds like a huge amount, the Pacific Ocean is vast and dilution occurs relatively quickly to levels that would be considered acceptable by the EPA for drinking water, for example. This, of course, ignores the potential hazard to marine life and human health that exists from the possible ingestion of cesium-137. The removal of fuel rods from the reactors at Fukushima carries with it potential risks that are many orders of magnitude bigger than any possible contamination by radioactive water escaping into the Ocean. Tepco is currently removing the first of the fuel rods stored on top of the Unit-4 reactor building. It is doing this by using a crane to lower a steel transfer cask over the fuel rod assemblies and then removing them one-by-one. It is particularly urgent to remove the fuel rods from Unit-4 because it contains 204 fresh fuel rods as well as 1,331 irradiated ones. So far 132 have been successfully removed. It is often repeated erroneously that the fuel rods contain cesium. In fact, the fuel ponds in Unit-4 contain around 400 tons of mostly uranium and some plutonium oxide. The Unit-4 building exploded after 3.11 blowing the upper-floor walls and the ceilings away. Fortunately, the reactor was not in operation. This makes the removal easier than it will be in Unit-3 which was more badly damaged by explosions and will be the most difficult to decommission. The removal of fuel rods is going to be a lengthy and dangerous process which requires innovative (and untested) methods. Of the possible scenarios associated with the removal of the fuel rods at Unit-4, a serious concern is that the containers enclosing the fuel rods may have been ruptured, or breached. This could lead to radioactive material escaping in the process of being removed. An even more serious situation could occur if that breach in containment leads to combustion of the fuel, which requires constant cooling to keep it from igniting. If that happens to a single rod, it would be serious. If a breached container was encountered in a situation where it is still in proximity to other fuel rods, the situation could be very critical indeed. A radioactive fire is never a good thing and with live fuel rods in the mix, it could be calamitous. A major radioactive fire would require extensive evacuation in Japan. If the wind was not in the direction of the ocean, a major fire would be a very, very serious radiological hazard. A much less likely scenario is the possibility of fission- and a subsequent nuclear explosion- occurring in the fuel rod ponds. This would require substantial and sustained breaches of containment and is only really a possibility in a situation such as similar size of earthquake as 3.11, or a very major industrial accident. It is because of this risk (and the risk of a major radioactive fire) that the fuel rods need to be removed urgently. So far it seems all is going well. The removal of fuel rods from the reactors will take many years. When that is complete, the decommissioning process for the reactors will begin. This is entering into more uncharted territory. Unit-3 was very badly damaged by the explosion that happened after 3.11. The reactor core broke through the initial containment vessel ( ‘melt-through’) and is in an uncertain state in top of the secondary containment vehicle. ( We know this because core material has been found outside of the reactor building). The reactor core is still hot and may well be in the process of eating it’s way through the concrete beneath it. This will continue for the foreseeable future, if the decommissioning plan sticks to Tepco’s schedule. The simple fact is that no-one has done this before and no-one really knows what awaits inside the damaged reactor buildings. Independent nuclear expert Arnie Gundersen of fairewinds.org, has claimed that there is a possibility a small nuclear detonation occurred after 3.11 in Unit-3, but this is highly controversial. We won’t know for certain until the decommissioning process actually gets around to entering the reactor building. Since the schedule for the decommissioning of an undamaged reactor at Oldbury in the UK is planned to take 90 years, (at a cost $1.5 billion) an estimate that decommissioning at Fukushima would take 50 years is extremely conservative. During that time there will continue to be substantial and ongoing risks of radioactive release into the environment. The report released by the Fukushima Nuclear Accident Independent Investigation Commission inquiry concluded that “It was a profoundly man-made disaster — that could and should have been foreseen and prevented,” according to Kiyoshi Kurokawa, the commission’s chairman. Much of the hysteria and disinformation surrounding Fukushima distracts attention away from the really important issues surrounding the real risks involved in decommissioning the Fukushima Daiichi plant and nuclear power in general. One effective response to this increasing public concern would be to radically increase the amount of radiological monitoring in the ocean, on land, and anywhere that radionuclides might enter the food chain and to publish those findings quickly and transparently. Education about these risks is also important, but in the search for potential solutions and mitigation of the risks from the crisis at Fukushima Daiichi, there is no substitution for meaningful international collaboration. Many independent researchers are calling for international oversight and collaboration on Fukushima. Tepco’s response to this so far has been to create an international oversight body called the Nuclear Reform Monitoring Committee. Most of the committee are nuclear industry insiders and there is no representation from either anti-nuclear experts, or neutral academics. Many of the statements of the Committee have been absurdly self congratulatory, including this submitted statement by Lake Barrett, a former U.S. Department of Energy official, ‘Based on my review of the situation there, first of all I am pleased to report that the efforts being taken by the team is containing the significant amounts of radioactivity, and there is really no reason for the public or anyone to be concerned for a public health and safety situation about the water at Fukushima Daiichi.’ This is hardly the stuff of genuine critical oversight. Yet to ignore that Tepco and the Nuclear Reform Monitoring Committee have made significant progress towards greater oversight and transparency would also be misleading. This is in large part due to the fact that Tepco’s initial response was so poorly co-ordinated and opaque that they could do little but improve. When it began to become clear that the water containment tanks were leaking, Tepco had only ‘two workers to visually inspect all 1,000 tanks in two hours until the leak, and none of the tanks had water gauges.’ That has now been increased to 60 workers and daily and weekly reports of their findings are published online. Since the end of 2011, readings from radiation and radionuclide monitoring sites on the ground, in the air, and on the oceanfront are also available on the Tepco website. There is even a Fukushima webcam that you can access to view Reactors 1-4, although it is on a 5-minute delay, so if anything untoward were to happen, Tepco could make sure it was offline. The genuine international collaboration that must emerge must be open to the collective genius of humanity to contribute to and be heard in. This is an unprecedented situation and it calls for unprecedented solutions. During the initial crisis after the tsunami and earthquake, I wrote to Tepco to see if they knew about the Croatian robotic fire-fighting truck, the Do-King FireRob, that has been deployed at Russian nuclear power stations. Needless to say, I never heard back. The collaboration must go beyond the politics of the Nuclear industry and narrow national self-interest, because the potential consequences of the situation also go far beyond both. The collaboration should certainly include independent voices like Mycle Schneider of the World Nuclear Industry Status Report, the Oceanographer Ken Buesseler of Woods Hole Oceanographic Institute, Arne Gundersen of fairewinds.org, Paul Gunther of Beyond Nuclear, and Mochizuki Iori, of the excellent blog, Fukushima Diary, who have been vocal and useful sources in this crisis. It should also include representation from local people of the Fukushima prefecture. That Indigenous leaders from North and South America have called for international collaboration should also be listened to. 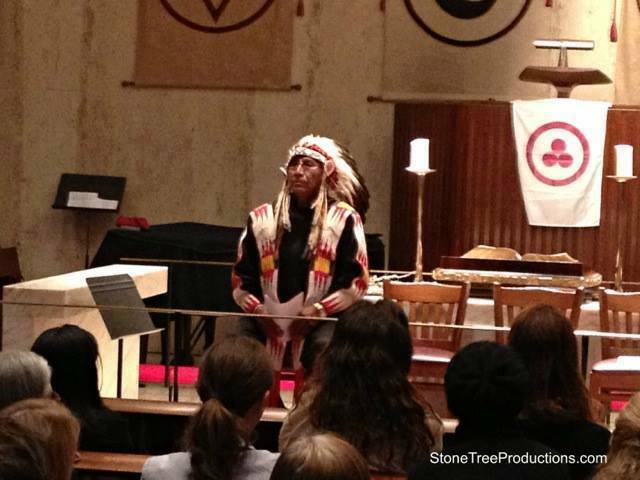 Chief Arvol Looking Horse, 19th Generation Keeper of the Sacred White Buffalo Calf Pipe and Spiritual Leader of the Great Sioux Nation presented a council statement on Fukushima at the Tillman Chapel of the United Nations headquarters in New York City, calling for exactly this. The wisdom of indigenous elders would go a long way in cutting through the politics-as-usual surrounding Fukushima and would significantly contribute to a genuine solution-based approach that upheld the values of protecting the Earth, rather than the search for ‘acceptable’ levels of pollution that currently characterizes Tepco’s approach. Their statement on the issue can be read here. I believe that in order to deal with this ongoing crisis, the world wants to see a new level of collective responsibility emerge, which may be the only saving grace of this whole deeply unfortunate situation. It is very noticeable that we now live in world of unparalleled global connectivity and technological interdependence, but that we are still struggling to manage the global village with outdated institutions like the nation state. Even our body of global governance is called the ‘United Nations’, not the ‘United People’. The ocean, and our contamination of it with cesium-137, knows no national borders. We now urgently need an ‘International Rescue’ force at the ready to deal with these emergencies. Instead we have enormous national military forces that stand by and watch distrustfully. That must end. Genuine and meaningful international cooperation must prevail. Mark Heley is a member of the Fukushima Research Group, a group of independent journalists and researchers concerned about Fukushima and radiological pollution in general.